Hi! Our names are Kasey Clayton and Tyler Strosnider, and we are two of the iEARN Youth Summit Committee members. The Youth Summit Committee is comprised of five youth (four Americans and one Surinamese) and we have several mentors guiding us. We have one big responsibility: design and host a Youth Summit! Being a member of the Youth Summit Committee has been really fun -- as our peer Raviel from Suriname said, it has “helped him connect with youth from different countries and exchange great ideas with them. "Throughout the week we will balance fun activities and projects with sessions where youth can present on activities that they are doing in their own schools and communities." So what exactly does being on the Youth Summit Committee entail? 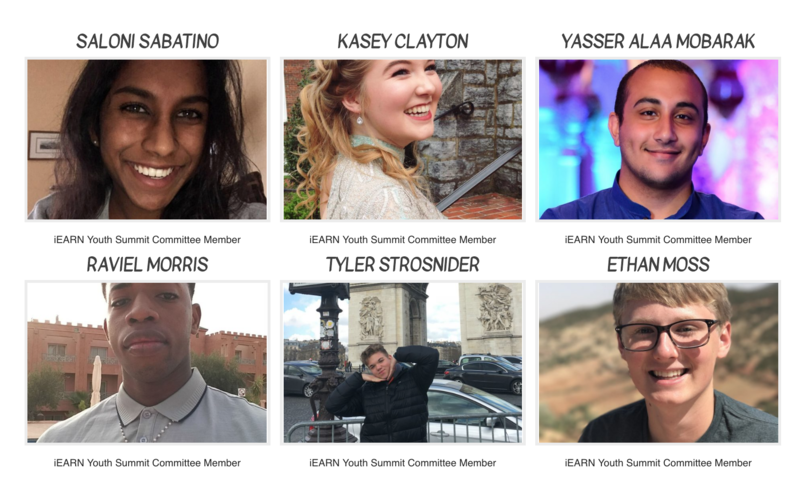 Well, along with our peers we have recently been working on developing community service projects, identifying potential keynote speakers, and designing daily activities that we (the youth) will experience over the weeklong iEARN International Conference and Youth Summit. Soon, the Youth Summit Committee will be deciding on the projects we would like to share over the course of the week in order to learn more about global collaboration, international education, and the United Nations Sustainable Development Goals. So far we have youth registered from ten different countries to attend the Youth Summit! Throughout the week we will balance fun activities and projects with sessions where youth can present on activities that they are doing in their own schools and communities. It should be a very informative but fun packed week. We really encourage any youth who have already registered to submit a session proposal. This would mean we could learn from you about what is happening in your corner of the world. We are super excited be have each and every single person here for both conferences. Winchester, Virginia is situated in one of the best locations on the entire country – we are close to many big cities, mountains, beaches and so much more. When you get here we hope you find leasure at the Shenandoah University dorms. From experience, we can tell you living in a dorm is super exciting! You will be able to hang out with all of the attendees in the common area, and become especially close to your roommate. When you are not at your dorms, the Youth Summit will be doing many exciting activities that cover growth as an individual and as a community. This conference is for you, and we want you to take as much knowledge as possible! JHHS is a place of acceptance and diversity, and we want you to know what it means to live in Winchester. We can’t wait to host you here at John Handley High School! JHHS is a place of acceptance and diversity, and we want you to know what it means to live in Winchester. Bring your enthusiasm and bring your ideas because this is going to be a very transformative and exciting week. Join us this summer at the 2018 iEARN International Conference and Youth Summit. Learn more at http://iearn2018.org.